Resumes started out as purely paper documents. 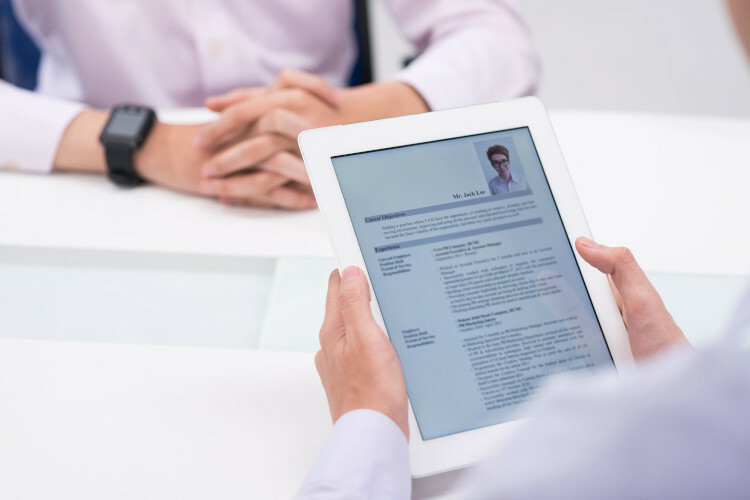 While the paper resume still exists (yes, the paper resume is what is typically used during the interview), the resume is stored and transmitted in digital formats. That digital resume can be in a format that is designed for print (such as Word or PDF) or in a format that is designed for search (such as text or HTML). Your resume should be able to accommodate different formats based on needs. Our recommendation is that you store your baseline resume in Word format. You might use a resume generator (such as our free Quickstart Resume Generator) to create your resume, but make sure that the resume generator outputs to Word format so that it is both portable (i.e. you own it and take it with you digitally when and where you need it) as well as customizable (to fine tune formatting, fonts, etc.). Once your resume is in Word format, it’s fairly easy to convert it into PDF format (using Export As PDF) and text (Save as Text). A PDF is ideal for sending to employers to make sure the resume will display on the printed page exactly the way you see it on screen. Take note that just because your resume formats well for you in Word, it may not format the same for a different user. What you have very strategically laid out to fit on one page in Word may flow onto a second page for another user using a different software version or printer. Adobe’s Portable Document Format solves that differential formatting issue by giving a consistent digital and printed image for all. Text format is the key format for uploading to a resume database. However, note that not all Word docs translate well into text format. Word docs that use columns, tabbing, special characters and alternate spacing may come out very differently in text format than Word format. If you want to test how your resume will look to an applicant tracking system, save a copy of your Word resume as a text file, then open it with a text editor such as Notepad. The Quickstart Resume Generator and Quickstart Resume Templates at our site (both free, by the way) use a standard format that translates well from Word into text. The missing link in resume formatting is Web or, more specifically, HTML (hypertext markup language) format. You can save a Word resume into HTML (there is a Save As Web Page function in most versions of Word), but the formatting usually ends up different from what you see in the Word version. Additionally, just having your resume in HTML does not make it a Web resume. You need a place on the Web to store it for access. And it needs to be formatted in such a way that it is both searchable and retrievable. So we solved that problem for our users at CollegeGrad.com by providing a free Web resume in HTML format that comes directly from the Quickstart Resume Generator. The user can then take the shareable URL of the Web resume and give it out to interested parties. Put the URL on a business card, in your email signature, and social media profiles. Don’t have a copy of your resume with you? Just give out the URL. So make sure you have all four formats available for your resume: Word, PDF, text and Web/HTML. Quickstart Resume Generator will cover all four for you. And give you a great resume format to help your resume be searched, found and read.